Since I can remember I've always had a negative response to vegetables, I would force myself to eat them because they are good for you. The problem was the taste, or more correctly, no taste at all. The ready to eat products found are not fresh and most of the times what you find is the basic same old salad with a not so healthy sauce. While shopping I came across an amazing brand, Sun&Vegs, and my idea about flavorless vegetables changed completely. Tasty. Delicious. Healthy. 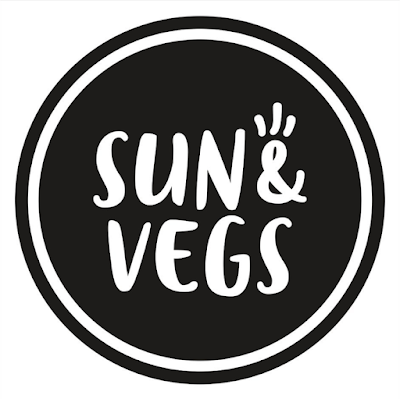 That's the correct way to describe Sun&Vegs. Fresh and natural ingredients, making the most unexpected combinations. Presenting different ranges, from salads, to microwave and pre-cooked meals, having each option different tastes and combinations. I have tasted three different meals, and let's say that Sun&Vegs conquered my taste buds (and my heart, of course). "Oh dear! Oh dear! I shall be too late!" The dear White Rabbit from Alice in Wonderland clearly didn't use Bond Street watches, otherwise he would always be on time. Myself, I'm not a crazy about watches. 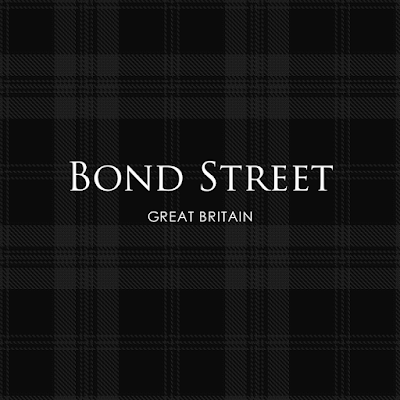 Back when I was a teenager I had a whole drawer full with watches, as an adult not so much until I met this amazing brand established in Britain. As you can see from the photos the design is elegance beautifully captured in a stainless steel case. AMAZING! But most importantly it's their superior quality that draws me, not to mention they are water resistant. 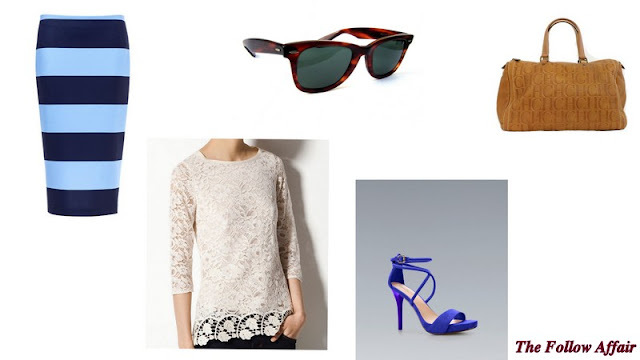 And the best part, when it comes to the price tag, you are going to love it! I'm particularly attracted to a minimalist design, especially when it comes to watches, and their Mayfair Collection is the perfect timepiece for every woman around the globe, and even gentlemen. 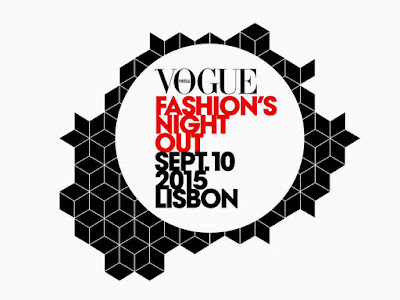 September means that Fashion Weeks are just around the corner, but to get this party started around the world for the serious shoppers you can count on Vogue Fashion's Night Out. Lisbon comes to life with this event, the most beautiful streets fill with people having fun and shopping. You know that feeling you get when you see something you like but you don't want to get into temptation? Your heart pumps harder, it's difficult to breathe, you try to forget it but no matter what you do, the image is always there in the corners of your mind! That's how I feel for the past weeks because (it's not a boy) of the Zara Over The Knee High Heel Leather Boots. We are meant to be together but no one is letting that romance go on. Everywhere I go the boots are sold out, internet, every Zara store in Lisbon, out of Lisbon, everywhere!! Ohhh and if they have a pair is in size 36!! Are all the girls, nowadays, big foots?? Or are they all crazy just like me for this beautiful boots?? I must admit that if I see someone with a pair walking around Lisbon, I will rob them. Studying for the finals is killing me! I don't have time to come talk to my Followers! What better way to spend the summer in the city? Sliding down a giant inflatable slide with water. City Water Slide will visit the Portuguese capital in July 11 and 12, in Parque Eduardo VII. 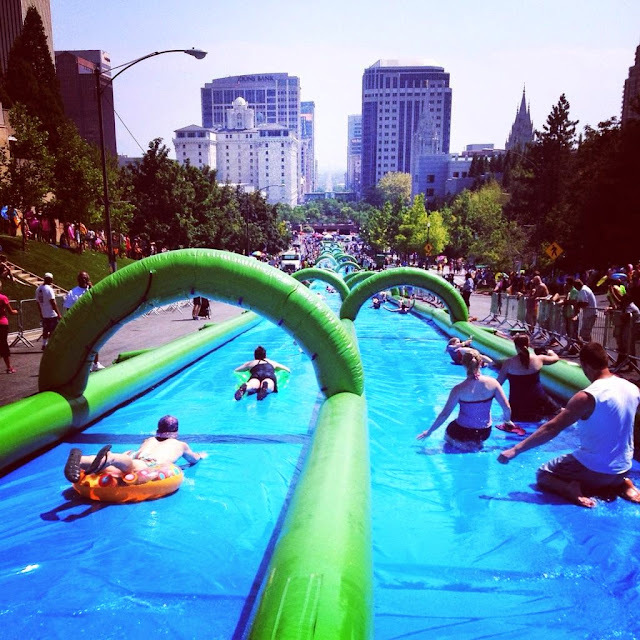 The City Water Slide is an inflatable slide with two lanes and 300 meters long. Participants - which according to the rules published on the organization's website can not be less than six years or 1,20m or more than 100 kg - can lead floats and inflatables down the slide.